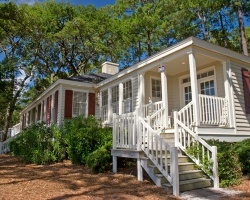 Located between historic Savannah, Georgia and Hilton Head Island, South Carolina, Daufuskie Island is an unspoiled haven of white-sand beaches, championship golf courses and warm ocean breezes accessible by boat only. The cottages and villas at the *Oceanfront Residence Club* sit in a park-like setting by the ocean and offer simple luxuries and laid-back comfort. Large, airy and decorated in an inviting modern style, the cottages and villas are available with up to four bedrooms. 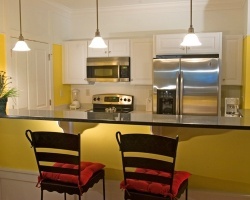 Enjoy being close to the beach, championship golf courses and more! Buyer may receive a title fee credit, inquire for details!